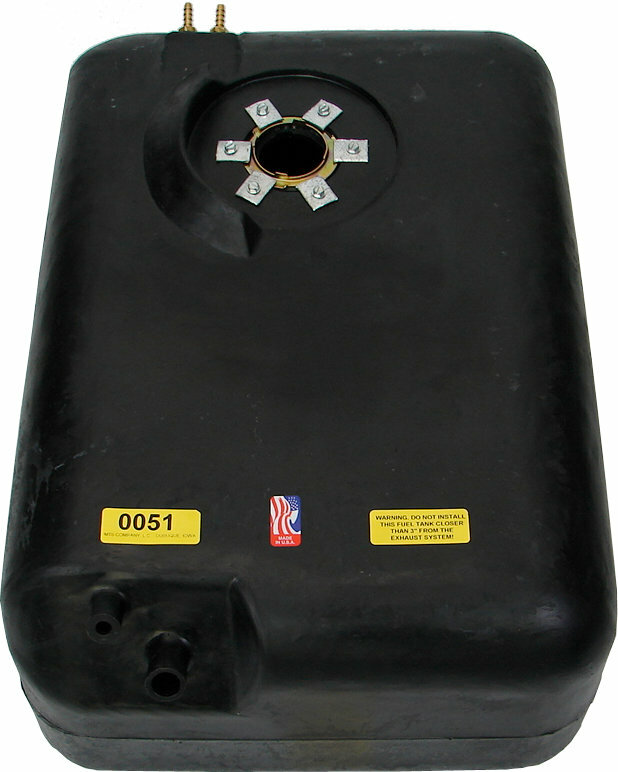 High Density Polyethylene fuel tanks are safer, lighter and reliable. Models available for most all CJ and Wrangler vehicles. New tanks with complete installation kits are also available- 51306.14 or 51306.13. Those kits include tank, sending unit, lock ring, gasket, skidplate extensions and strap. We also have underseat tanks for vintage Jeep vehicles. Approximate dimensions: 23" X 16" X 16". Will not fit if original tank is 20 gallon, (we do not have replacement 20 gallon tank). New tanks with complete installation kits are also available- 51306.14 or 51306.13. Those kits include tank, sending unit, lock ring, gasket, skidplate extensions and strap. We also have underseat tanks for vintage Jeep vehicles. I don't know what the other customer owns but on my 76 cj7 jeep with original metal skid plate the MTS 15 gallon plastic tank did fit. But again, I have a 76 cj7. I also changed the fuel inlet opening to the smaller diameter found stock on 78 cj7 and up. Quality product, however it does not fit stock skid plate or tank straps. You must use MTS' skid plate and straps. Good tank, just wish I knew that before ordering! MTA makes good parts, just can't give 5 stars due to fitment issue.